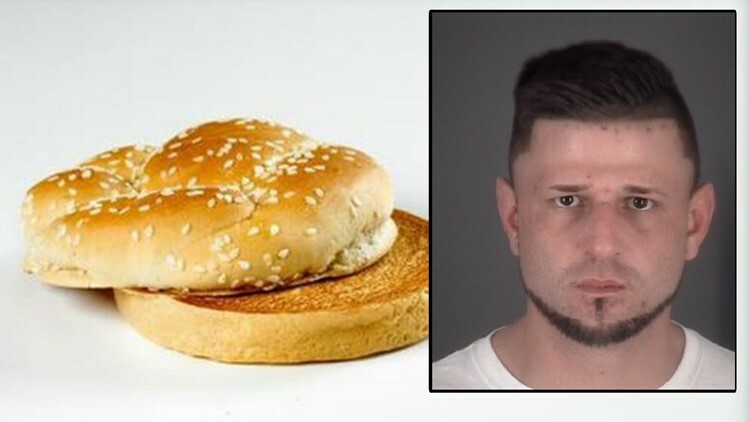 Pasco County deputies say the man was loud and argumentative after becoming upset over getting a sesame seed bun on his sandwich. Odessa, Fla. -- A man was arrested after deputies say he got into a drunken altercation over a sandwich. Pasco County Sheriff's Office deputies say Joseph Lagana, 27, got upset after getting a sesame seed bun on a Philly cheesesteak sandwich. Deputies said Lagana began arguing with the cashier and then got into a fight with a man who deputies say didn't want to press charges for battery. When talking with Lagana, deputies say he was being loud and argumentative with people at the flea market on Gunn Highway. Deputies said he appeared heavily intoxicated because of his slurred speech. The owner of the flea market told deputies Lagana's behavior was causing a public disturbance. Lagana was charged with disorderly intoxication.